Arcadia by Lain Pears gives you three worlds to explore, 10 unique characters, and tons of different paths to take. Go on a journey with a young girl in search of her cat in the basement and follow a scientist with a mission to prove that time doesn’t exist. 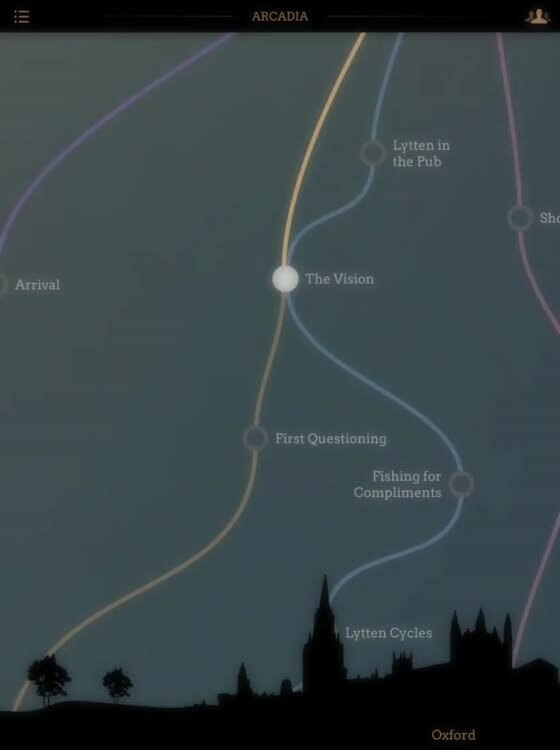 Record the paths you follow in the story and immerse yourself in a book where the ending is up to you. For engaging experience, open Arcadia by Lain Pears and decide how the stories end. 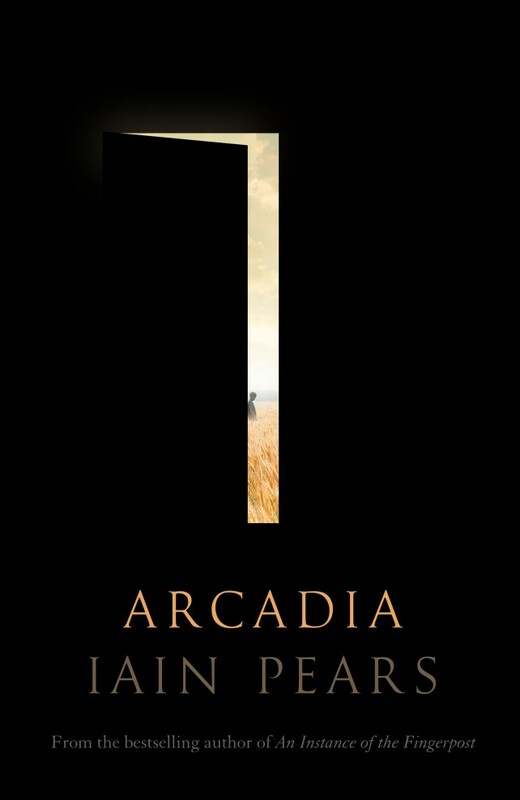 From bestselling author Iain Pears comes Arcadia: a groundbreaking new novel written for iPhone and iPad. Become the master of your journey following ten characters through three interlocking worlds, in an original tale of time travel, intrigue and adventure. Three interlocking worlds. Ten characters looking for answers. But who controls the future – or the past? In the basement of a professor’s house in Oxford, fifteen-year-old Rosie goes in search of a missing cat – and instead finds herself in a different world. Anterwold is a sun-drenched land of storytellers, prophecies and rituals. But is this world real – and what happens if she decides to stay? Meanwhile, in a sterile laboratory, a rebellious scientist is trying to prove that time does not even exist – with potentially devastating consequences. Download the app now for free and start reading straight away. 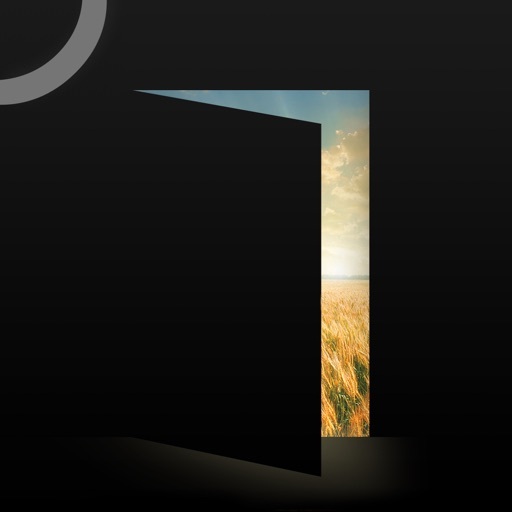 Unlock the complete novel with a single in-app purchase. If you enjoy Arcadia, don’t forget to rate it and leave a review. 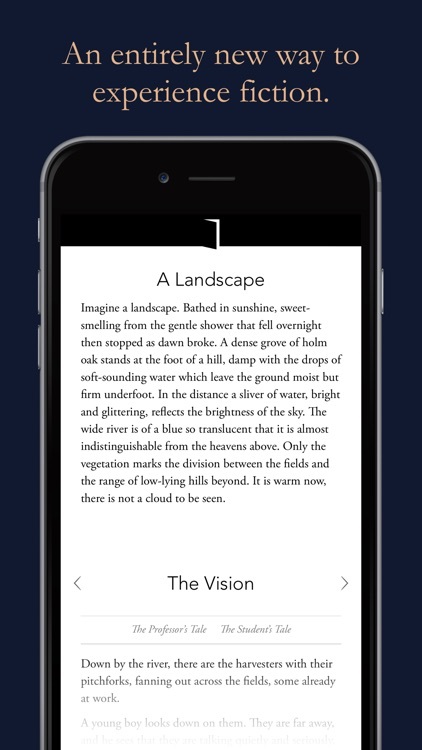 You'll be able to read this book-in-an-app several times from different viewpoints.